imaginED Collaborates With Outdoor Classroom Day! I am really pleased to announce that imaginED is collaborating with the Outdoor Classroom Day initiative! Expect to see our imagination-focused outdoor learning activities (like the Walking Curriculum resource) shared on their network and information on the Outdoor Classroom Day initiative shared here. Read on to learn about this great event. Believe in the power of outdoor learning & play? Get involved in Outdoor Classroom Day! Think about the last time you saw a child grinning wildly, bursting with excitement and eager to explore. Chances are they were outside in the playground at break time, not sitting in class trying to grasp a new mathematical concept. But what if you could harness the same energy for both? What if that distant concept became a real-life example embodied in a tree, a rock, a pond? 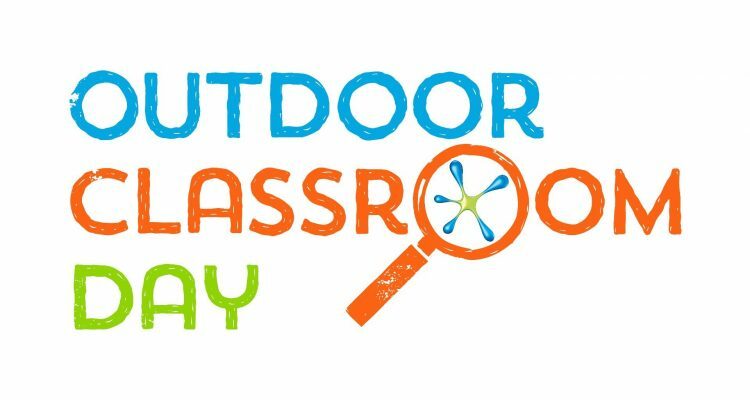 Join the movement today by signing up your class — or whole school — at www.outdoorclassroomday.com. 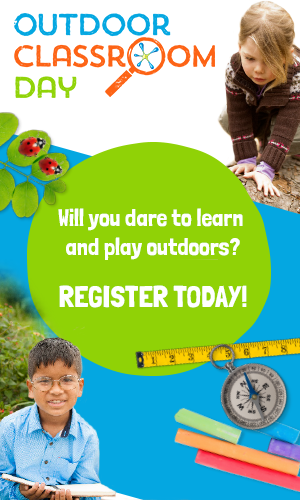 Outdoor Classroom Day is a global campaign to celebrate and inspire learning and play outside the classroom! If you who have ever taken learning outside, even just once, you don’t need the statistics. You’ve seen it, felt it, lived it. Back in 2011, Anna Portch felt it too, so strongly that she founded the Outdoor Classroom Day movement to inspire and encourage more schools to give outdoor learning a go. From there, it has grown into an international campaign — in 2017 over two million children across the world got outdoors to play and learn as part of their school day. If you’re new to outdoor learning and providing enriched playtimes, why not use the day to give it a go? Or if they are part of your normal week, why not use the day to celebrate what you’re doing already and encourage other schools in your area to join in? Whatever you decide to do, get started on your outdoor adventure on Outdoor Classroom Day and prepare to be amazed. *Source: Edelman Berland for Unilever, 2016. **Source: Edelman Berland for Unilever, 2016.